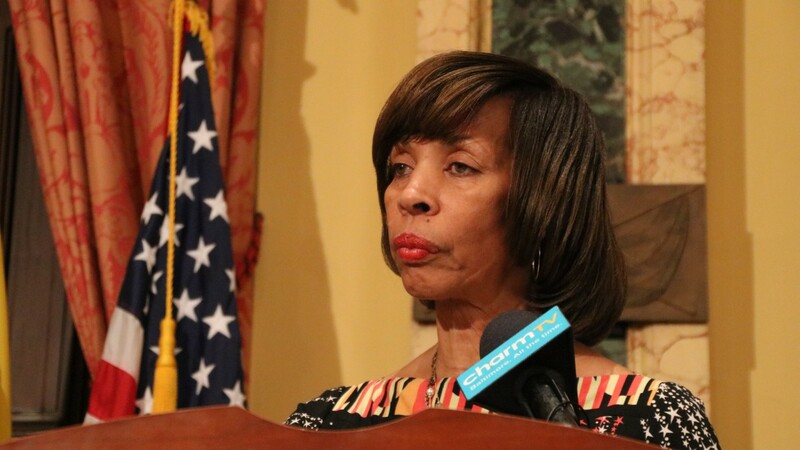 Amid the swirling controversy over her Healthy Holly book deal, Mayor Catherine Pugh was making no public appearances today – canceling her weekly press availability due to what her spokesman described as a “bronchitis-like” illness. But on the phone she defended the $500,000, multi-year sale of her self-published children’s books to the University of Maryland Medical System, purchases made while she was (until Monday) a board member. Pugh also wanted it known that the latest order for 20,000 of the books “was delayed” and that the $100,000 she received from UMMS was returned last week, the order canceled. Why did she return the $100,000? “The publisher and illustrator had a medical emergency and the order had to be canceled,” her spokesman James E. Bentley II explained. The mayor said she is still working on the fifth title in the series, “Healthy Holly: Walking With My Family,” and plans to publish it on her own. Pugh’s comments come amid blistering conflict-of-interest accusations following the disclosure of the $100,000 book purchase just returned, plus four previous payments made by UMMS to Pugh in 2011, 2013, 2015 and 2017, totaling $400,000. “Everyone is wringing their hands about the self-dealing that was going on,” Maryland Comptroller Peter Franchot said today, calling for an independent audit of the medical system’s business dealings with board members. “Unseemly” and “appalling” Gov. Larry Hogan has said of not just Pugh’s book deal but the contracts other UMMS board members got for services they provided to the hospital chain. The insurance company started by former senator Francis X “Frank” Kelly, for instance, has received millions from UMMS for managing its employee benefits system. In documents on file with the state, Pugh wrote in each case that “$100,000 was my profit,” but she has since described those statements as “an error” and said that with each sale she reaped only $20,000 after expenses. The Brew has requested tax filings, invoices and other documentation to back up that claim. News of the lucrative bulk-book purchases – made while she was mayor and previously as state senator and not disclosed in state legislative ethics forms – has sparked intense criticism of Pugh and UMMS. Noting that Pugh has resigned from the board, Sen. Bill Ferguson has called on Pugh to go further and return all the money she made from UMMS while she was a board member. Others faulted not just Pugh, Kelly and other individuals for blatant conflicts of interest, but pointed to broader systemic issues at play in the scandal involving the booming Baltimore-based private hospital network. “Yes, there are multiple people involved in the corruption side of it,” Morgan State University assistant professor Lawrence Brown wrote on Twitter. The company that renovated Mayor Pugh’s home at a discount was not favored for a project supported by Baltimore’s acting mayor, a developer says. Amid campaign contributions from BGE officials and Healthy Holly book purchases by an Exelon director, utility is set to pay one-seventh of the franchise’s reported value.